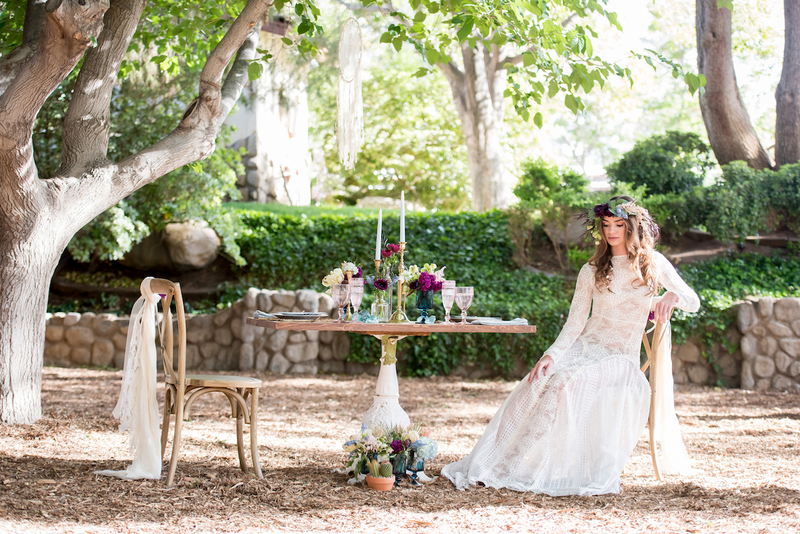 This boho-inspired stylized photoshoot took a dream team of talent to put together. 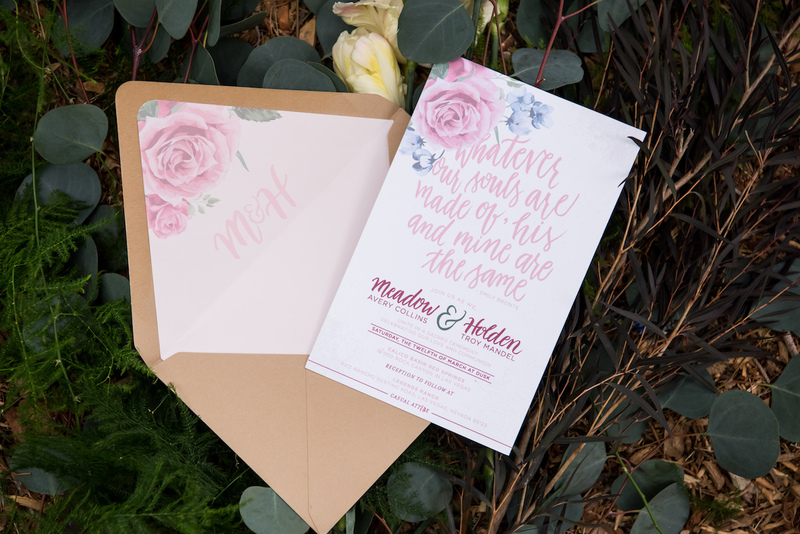 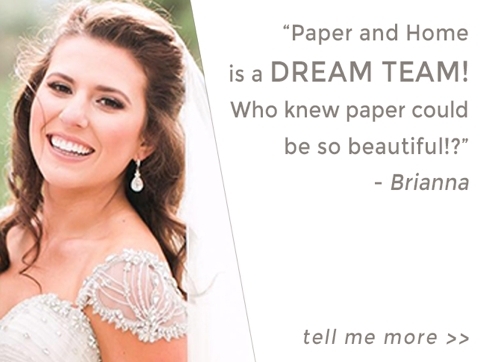 We worked alongside Paulina Clute Events and the visionary Kristen Hansen of KMH Photography to create these rustic-chic boho wedding invitations. 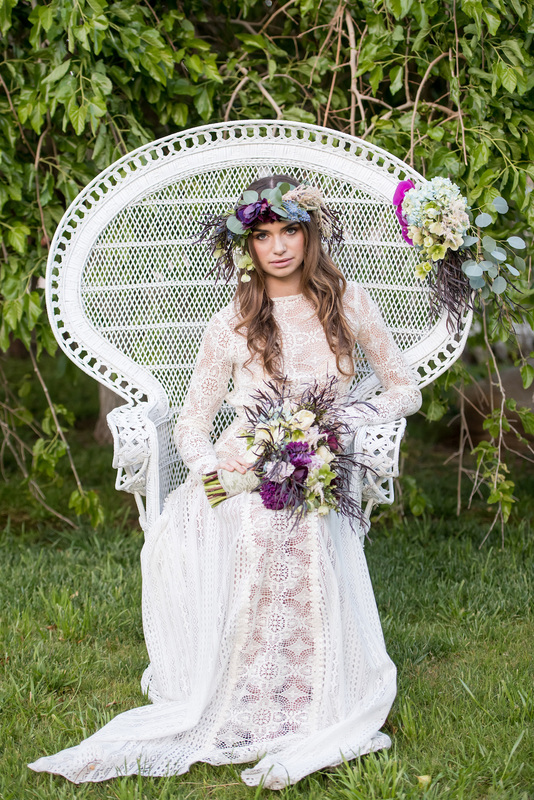 The idea behind our couture design was inspired by an informal, layered bohemian style—incorporating a mix of florals and patterns with whimsical hand crafted elements. 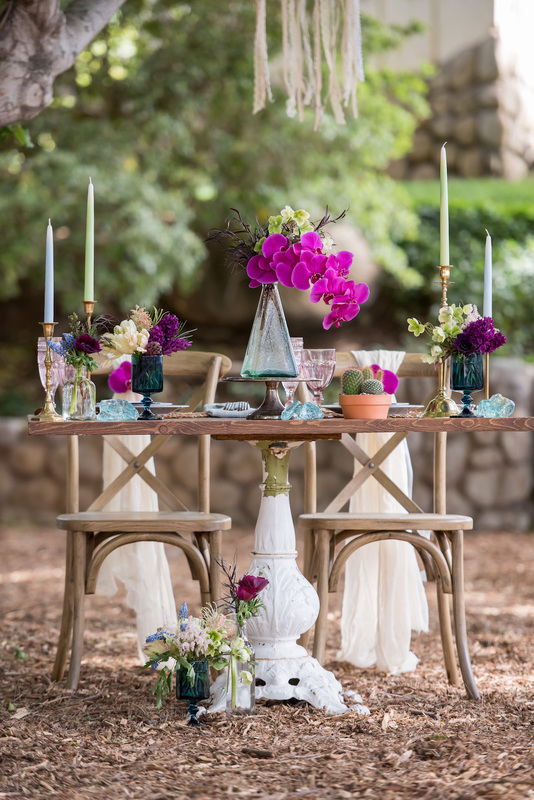 The color palette for the event was blush, ivory, and sky blue, with pops of bold magenta, teal, and forest green. 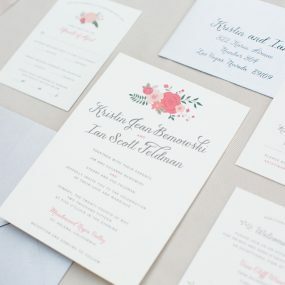 The soft pinks, blues, and forest greens within the palette were introduced in the hand-painted floral. 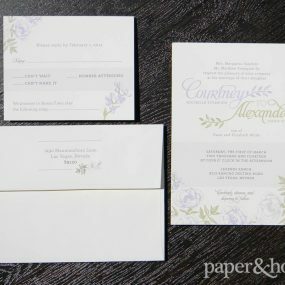 Flowers also carried over onto the envelope liner, complete with a custom monogram representing the couples’ initials. 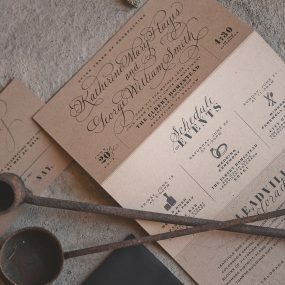 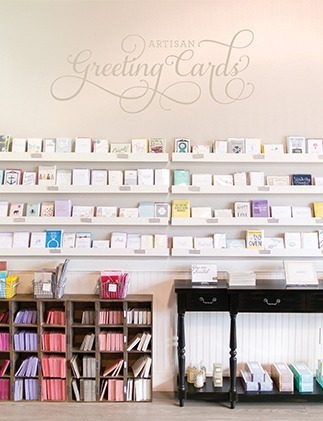 We selected a specialty kraft stock for the envelope and mounted backer card to compliment the authentic atmosphere of the venue. 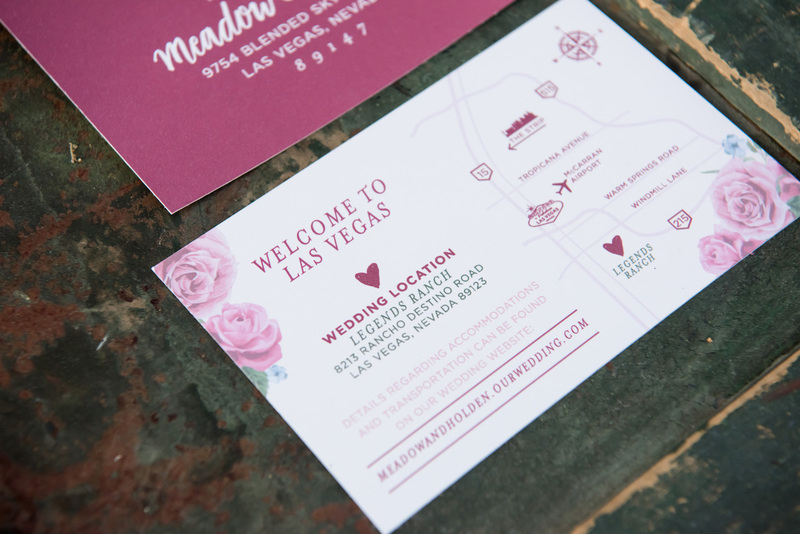 A comfortable and lush ranch estate located near the strip, Legend’s Ranch is known to be one of Vegas’ best-kept secrets, with Southern rustic décor, and a touch of vintage glam – our invite set represents just that. 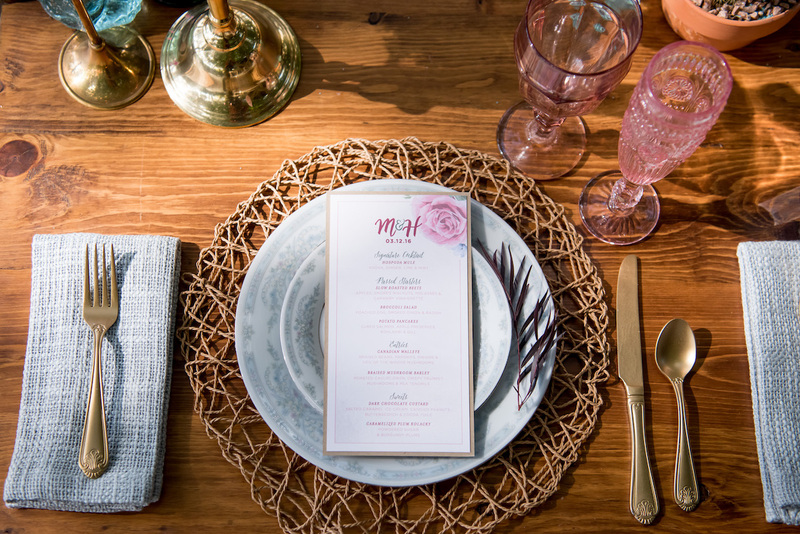 We bring in the same “blushing bohemian” look and feel from the enclosure cards to the menu cards placed at each table setting. 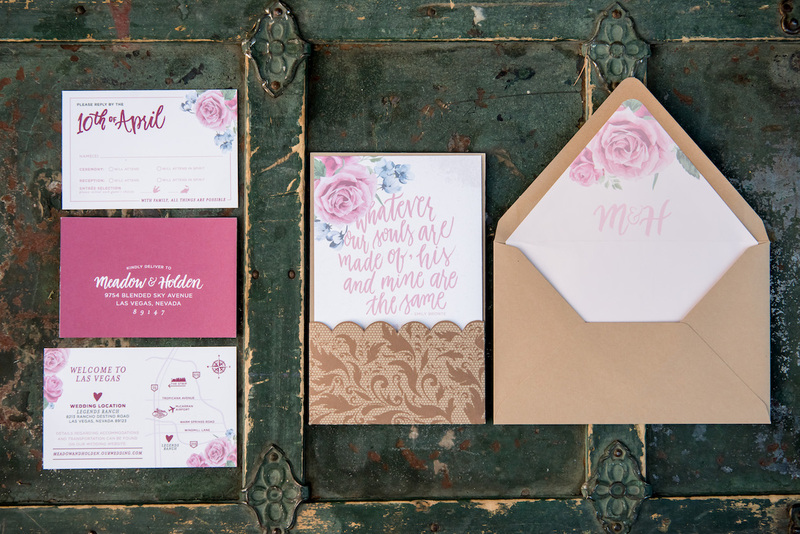 The enclosure cards include a double-sided reply postcard flooded in pink, and a details card complete with a custom map showing the venue and nearby accommodations. 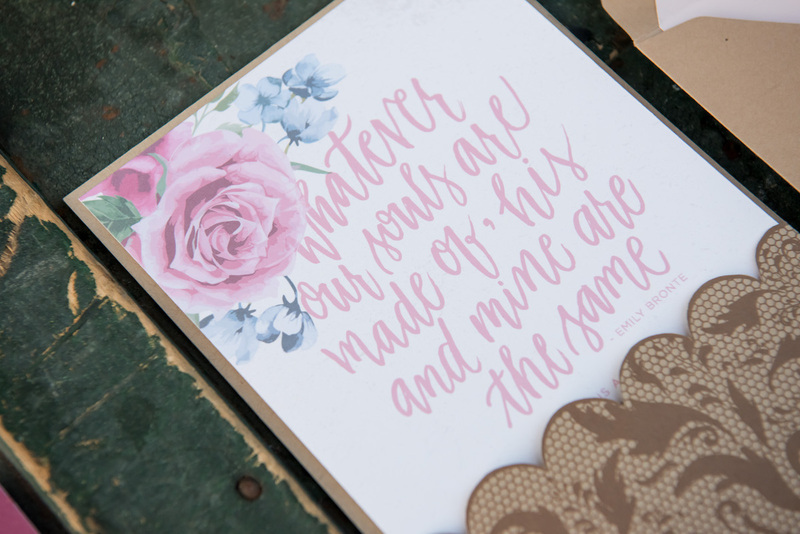 Adding a hand-calligraphed quote to an invitation set acts as a reflection of the couple’s relationship and adds personality. 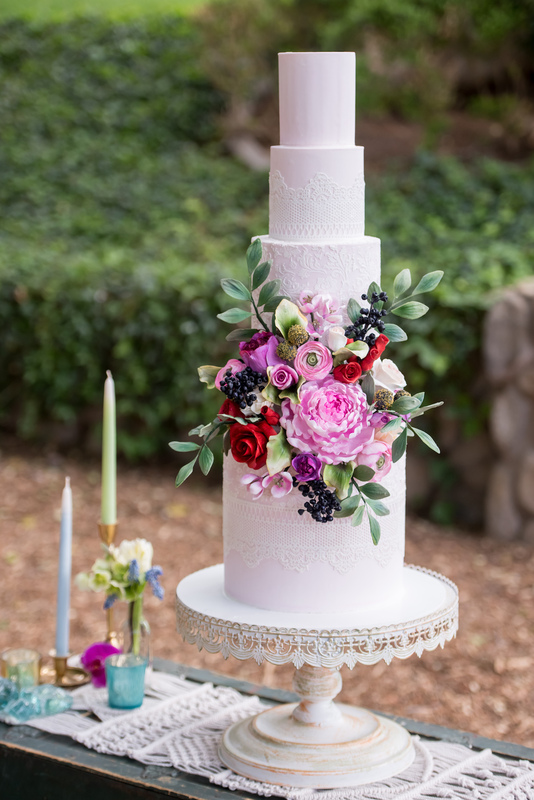 Creating visions like this is a collaborative process with all the vendors involved—each bringing in their own special touch of equal importance to the overall vision. 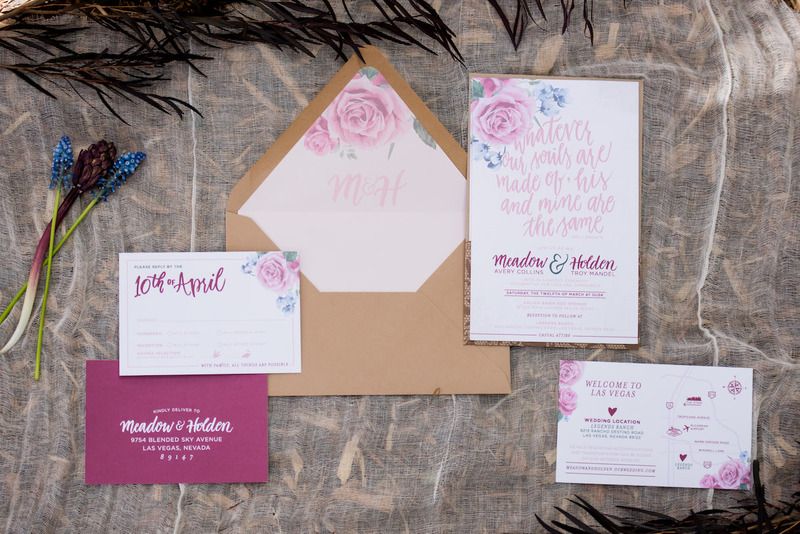 Love these boho wedding invitations? 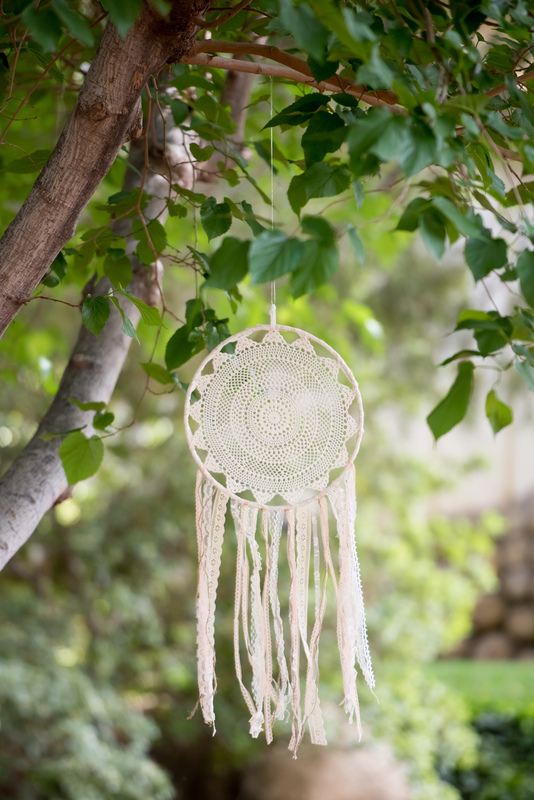 Visit KMH Photography’s website to see more from this Legends Ranch wedding stylized shoot.